Educational Qualification: BE (CE or IT) /B.Tech. (CE or IT) / MCA / MSC(IT) with minimum of 60% marks. (Full-time programme from recognized University. 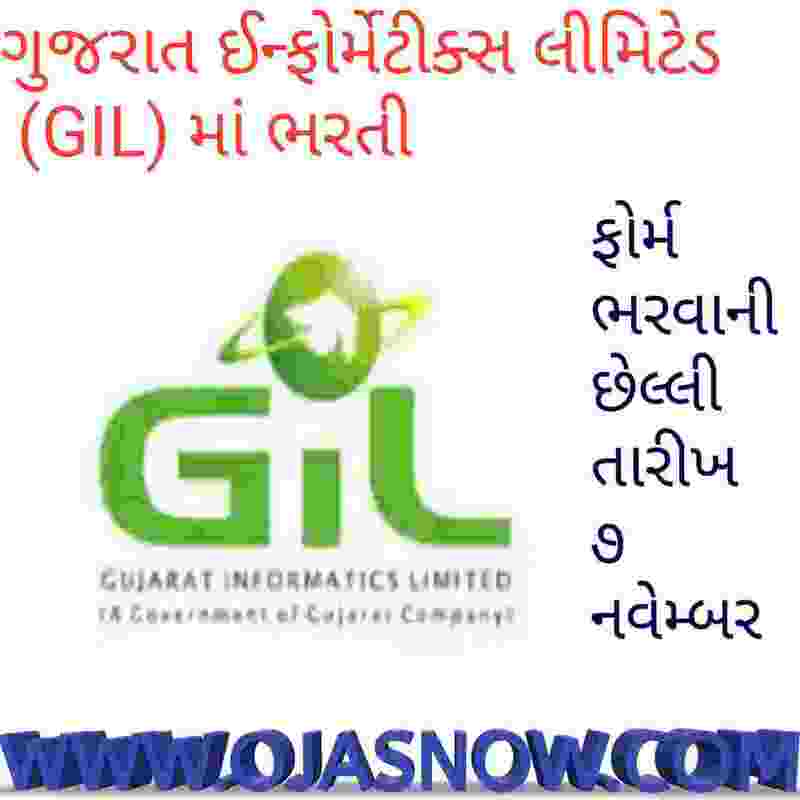 GIL Selection Process: Selection will be based on Interview. Application fee: Candidates have to pay Rs.250/- and postal charge through Challan OR Net Banking OR Card Payment. 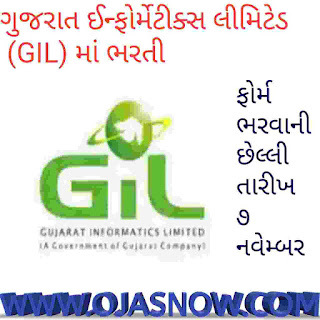 How to Apply GIL Vacancy: Interested Candidates may apply online through the website https://ojas.gujarat.gov.in on or before 07.11.2017.